The magnificent Lucido Complete Bathroom Suite has everything you need to transform your bathroom or ensuite in one convenient, great value purchase. 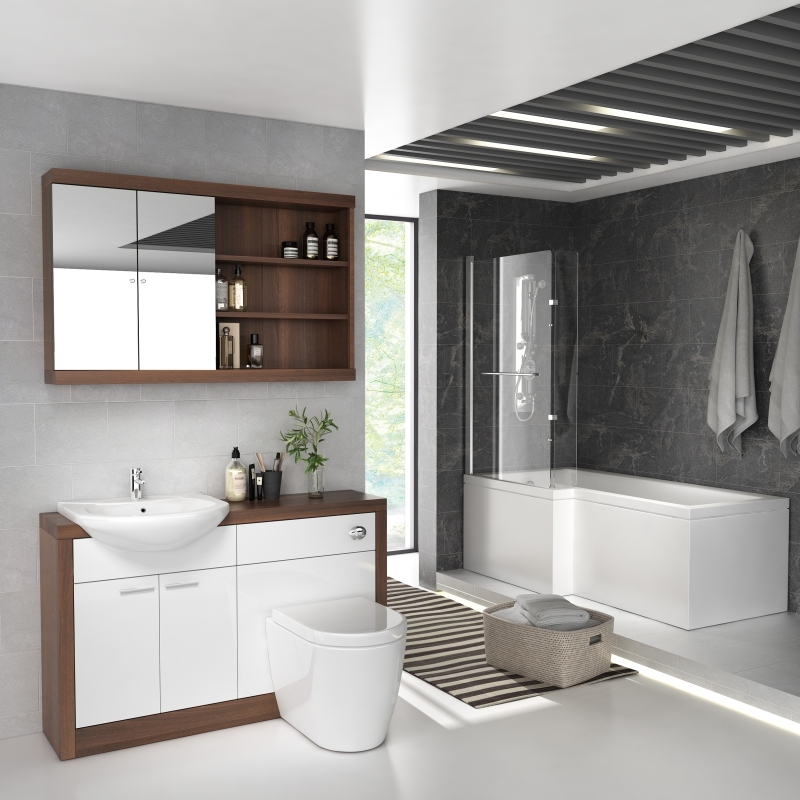 This modern bathroom suite includes our exclusive Lucido Fitted Bathroom Furniture Set which is hand-crafted in Bathroom City’s Birmingham factory and features high gloss white acrylic-finished unit fronts and contrasting walnut finished surround. 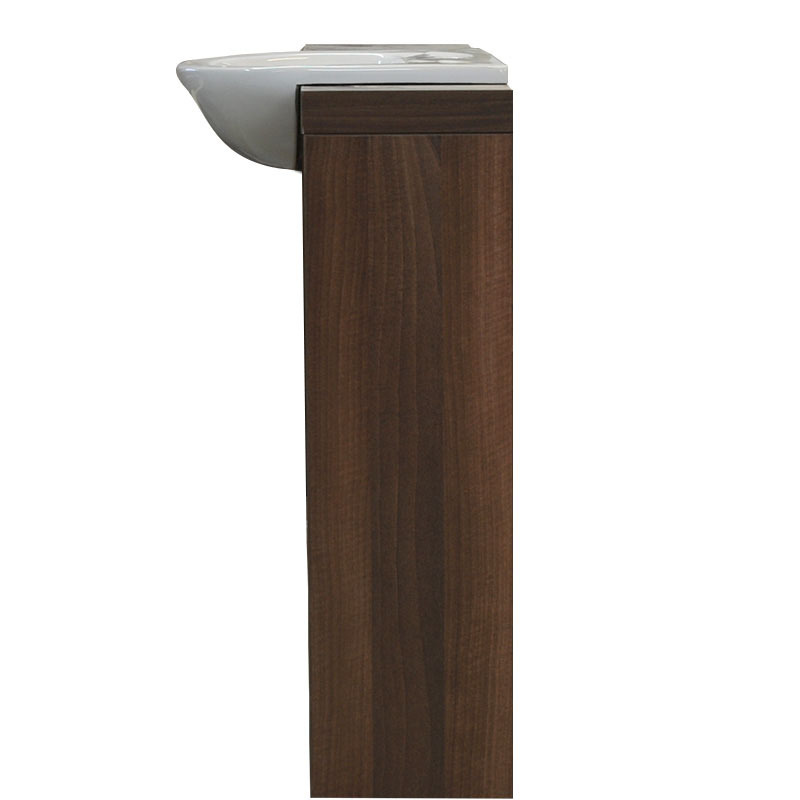 This stylish 1200mm fitted furniture pack includes a cistern unit with concealed cistern, back to wall WC pan and soft closing toilet seat plus vanity unit with semi-recessed basin and basin mixer tap. 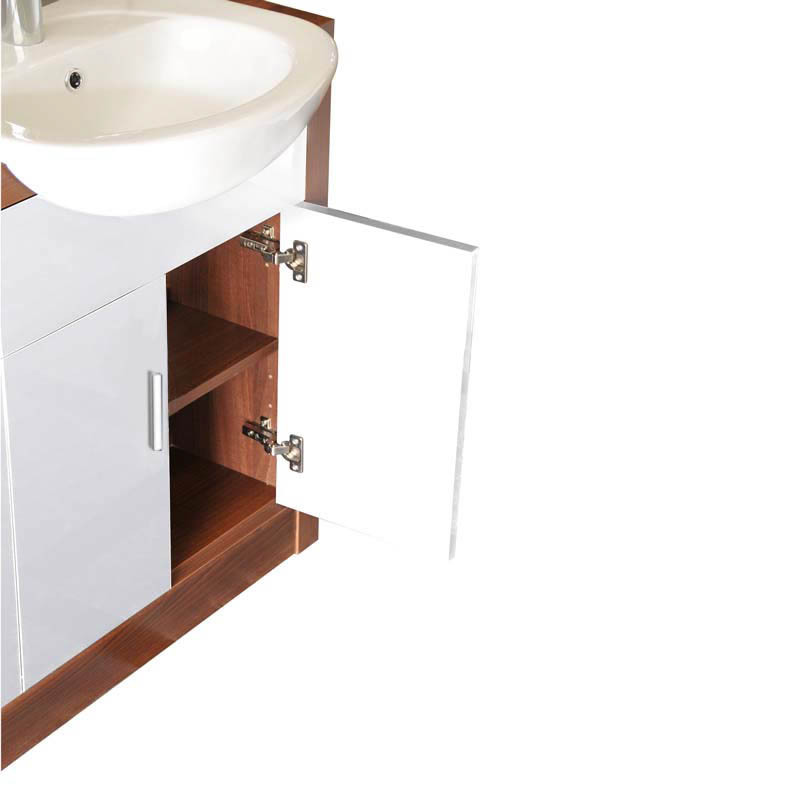 These units come assembled but the versatile toilet and vanity units can be placed on either side to suit your bathroom layout while their compact dimensions makes them a great space saving solution. 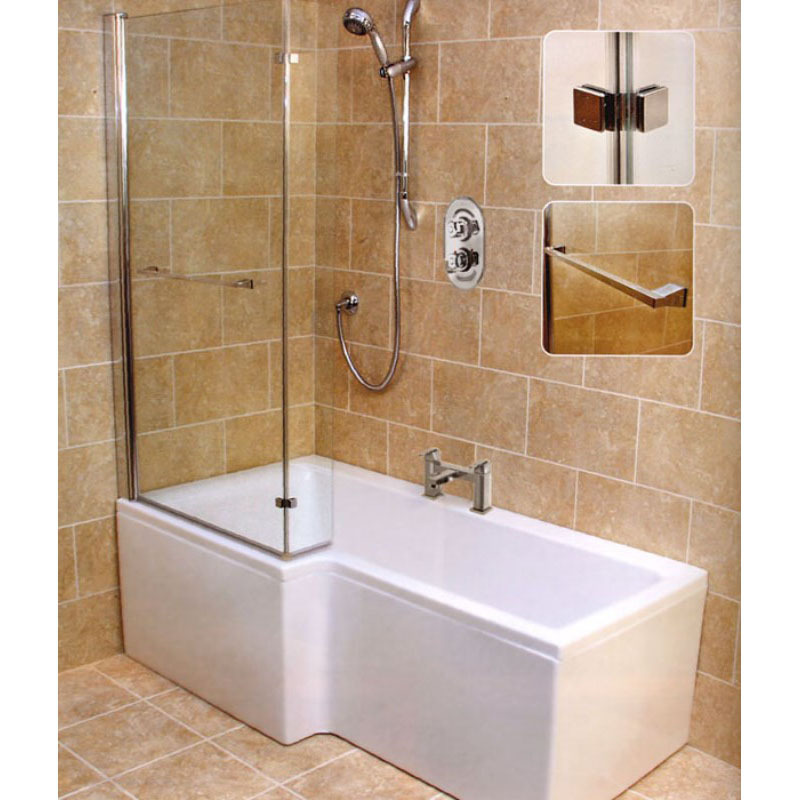 The suite also includes an L-shaped shower bath in a choice of left or right hand models along with side and end bath panels, a bath screen and bath filler tap. 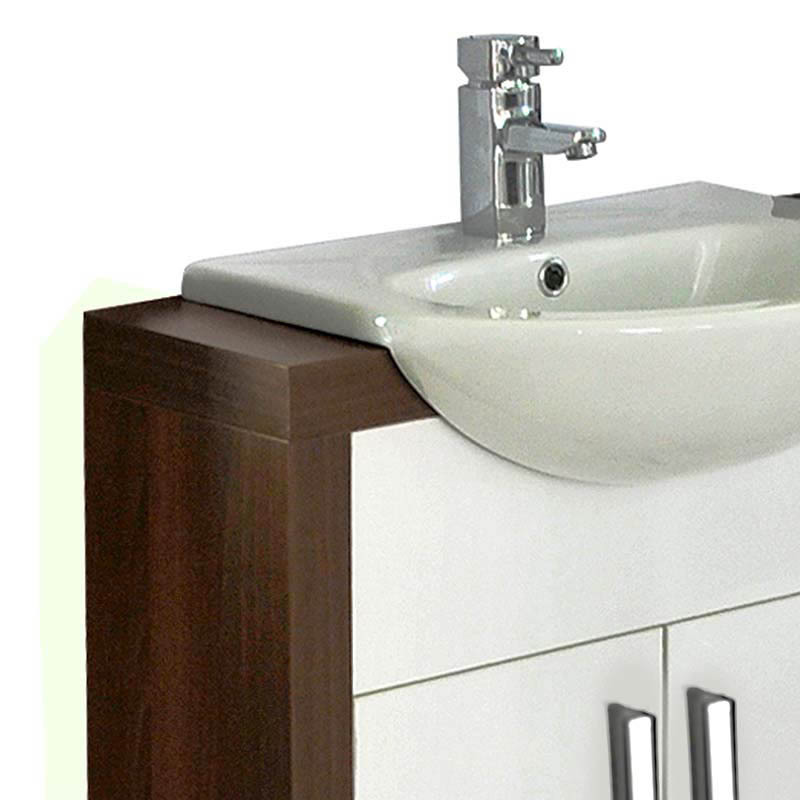 PLEASE NOTE: The fitted furniture is supplied part-assembled so that the vanity and cistern units can be sited on either side to suit your bathroom layout. This means a basin hole must be cut into the furniture carcass by the customer using the template provided.